This simple tutorial will show you how to install and use Faenza Icons 1.3.1 in Ubuntu 13.10 Saucy Salamander while the PPA is not available yet. Once installed, open it from Unity Dash. 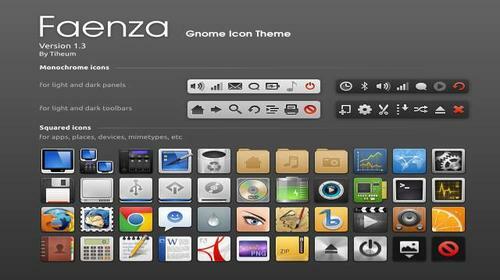 You’ll be able to choose Faenza icons under Appearances -> Icons.